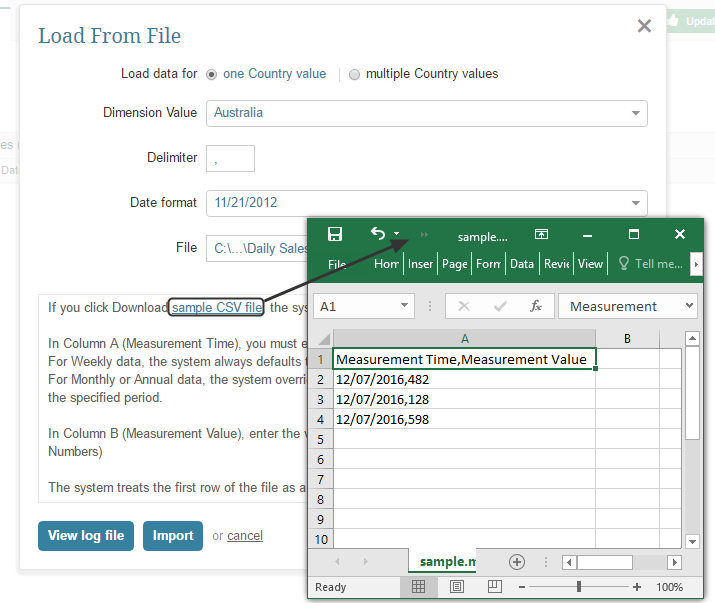 If the data for your Metric is to be collected manually, you can uploaded it as a CSV file (delimited by a comma or other character). 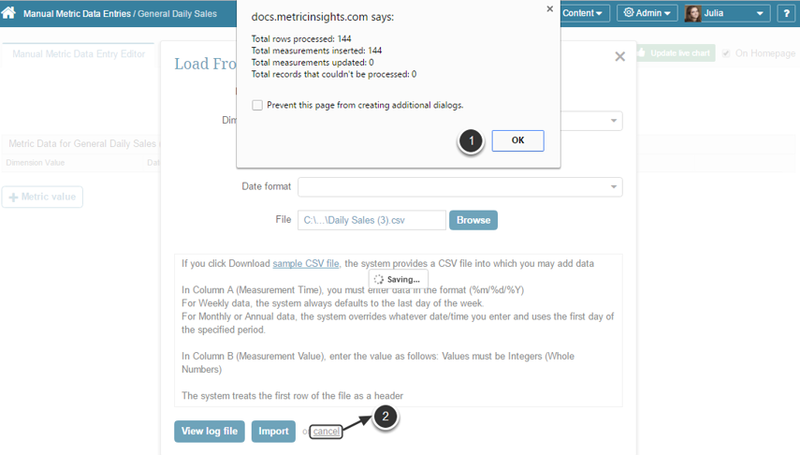 The Manual Metric Data Entry Editor opens. 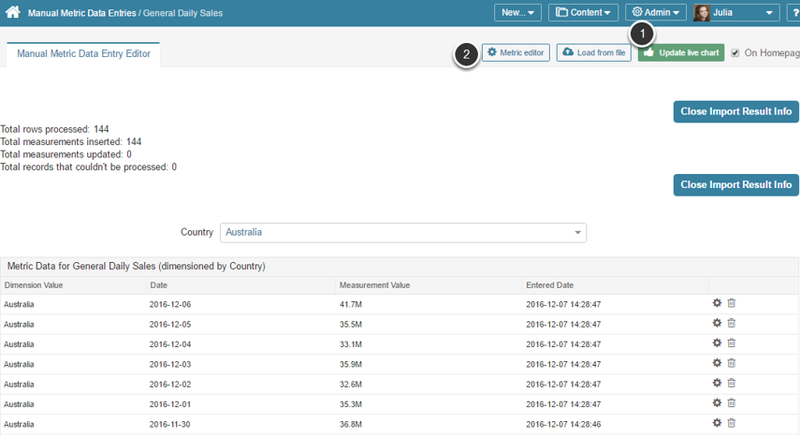 This field is shown for Dimensioned Metrics only. 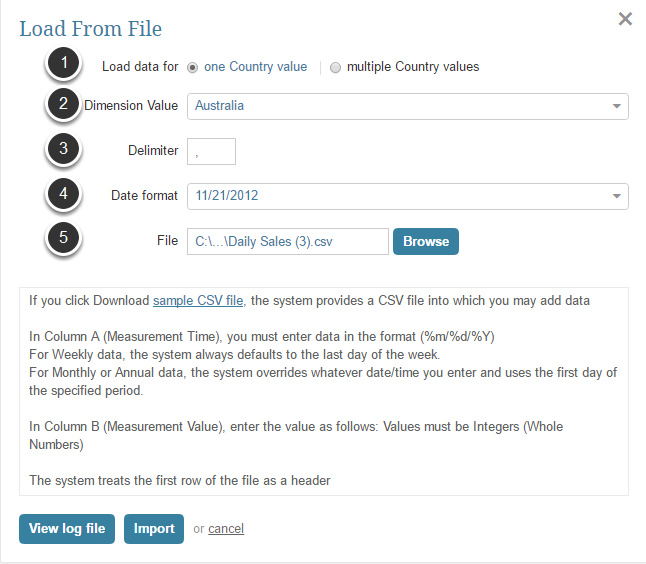 Select if you want to upload CSV file with data for all Dimension Values; alternatively, select a specific Dimension from the list. 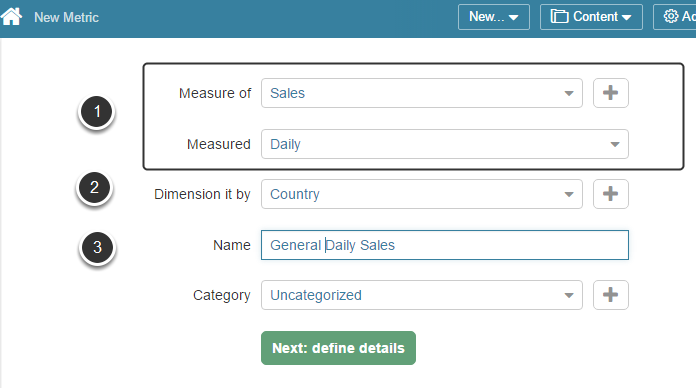 Load data for: select whether or not you are uploading data for one Dimension Value (in this example, multiple Product Category values are being uploaded) or multiple Dimension Values. Once the required file is browsed, click Import.